My Closet Cleanout Left me Without Clothes! My dear you are not the only one who has begun a closet-cleaning project and finished it with a practically empty closet. So many times we buy clothes for every reason other than needing them. We feel fat, we feel frustrated, we have an event last minute and nothing to wear, it was on sale, we wish we had a life to wear it, our favorite influencer or celeb has it, we missed the return window, we swore we’d lose those five pounds. And once you’re on a roll it’s hard not to throw everything that isn’t perfect into the donation pile. However, we all need to wear clothes, and I hope very soon you will be able to get back to your job where you will need to wear more than sweatpants. So I recommend you keep some of these things to get by. How to know what to keep? Live in the moment, and dress for it as well. If you need to lose five pounds or have to pull on your tightest Spanx to make it fit, let it go. When you hold onto such clothing, each time you enter your closet you’ll feel bad about your body. If you truly think the items will fit in the near future (we’re talking within a year or less) keep them but keep them in a box away from your current wardrobe. Then, if your body changes you can bring them out like a present, thereby reducing the desire to buy new. If you have it safety pinned together, either fix it or get rid of it. Stain that won’t come out no matter what hack you try? Get rid of it. Covered in fuzz balls? Threadbare spot? Missing buttons? Get it fixed or get it gone. Damaged and overly worn clothing are never chic. Does it Work with Three Other Things? Let’s get real here. Unless it’s a statement piece (sequined going out top, floral maxi dress, etc.) if it can’t live three separate lives it’s not versatile enough for your newly-curated closet. 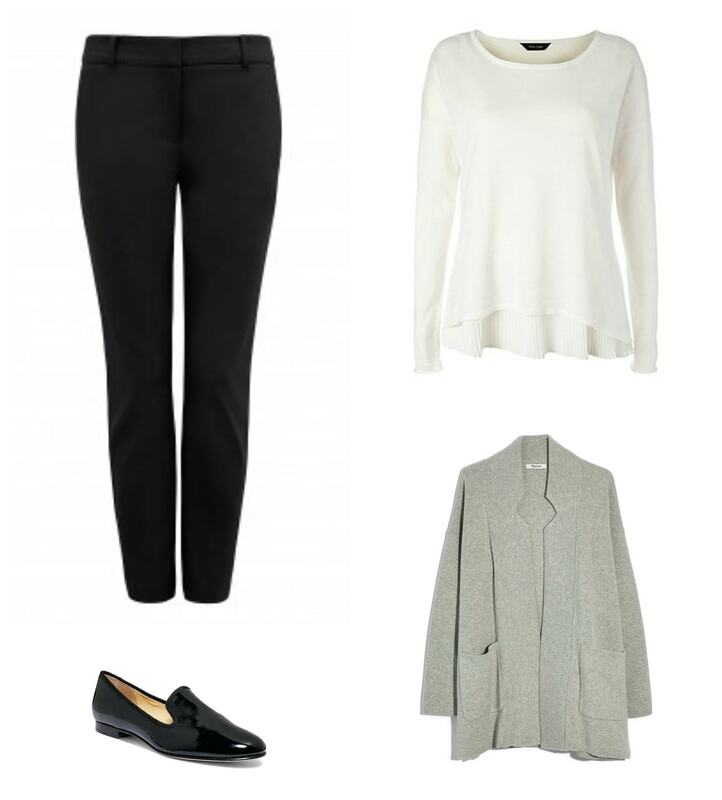 Your pink cashmere boatneck can be worn with jeans, with your camel work trousers, with your gray tweed skirt, under your black boyfriend blazer with your ivory ankle pants. That navy pinstripe blazer works with your Aerosmith t-shirt and jeans, with your camel turtleneck and trousers, your ivory blouse and the gray tweed skirt, your ivory blouse and the ivory ankle pants. If an item is perfection but goes with nothing, is it perfect enough to build a wardrobe around it? If not, maybe it’s not perfection and just makes getting dressed more difficult. 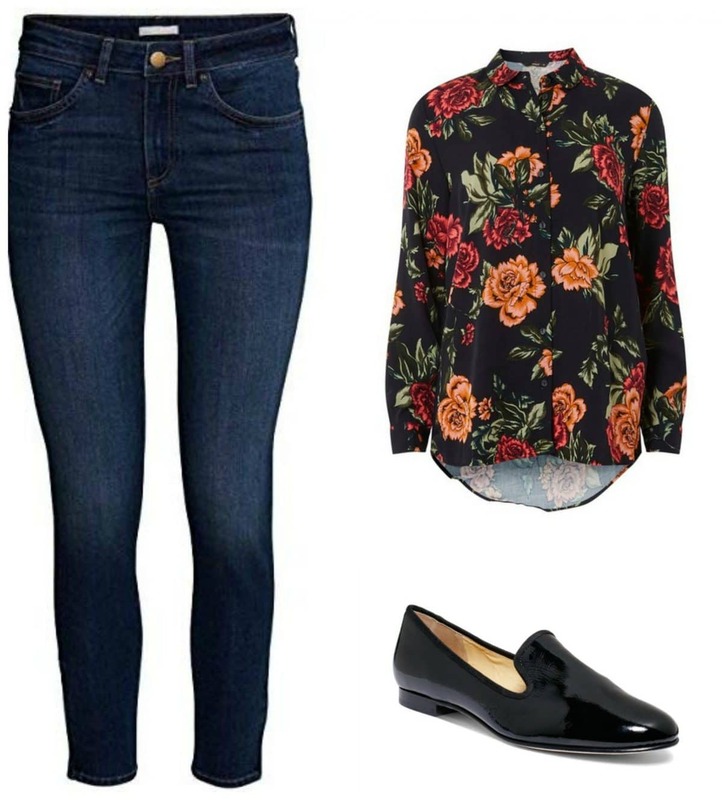 This very well may be what your remaining wardrobe looks like – a random mix of pieces that don’t appear to go together. But from this random mix I pulled together 20 outfits. 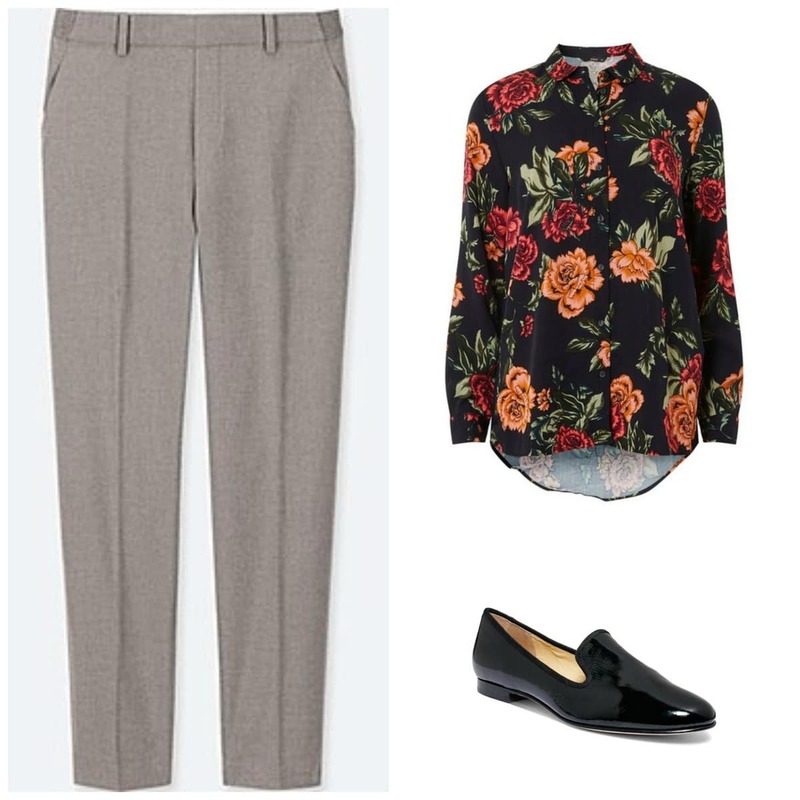 No, you won’t win any fashion awards with these looks but you’ll be polished enough for a business casual workplace. Remember, keeping meh things to have more options will only cloud your vision. For now you’re treating your wardrobe like a uniform until you can build your new wardrobe. 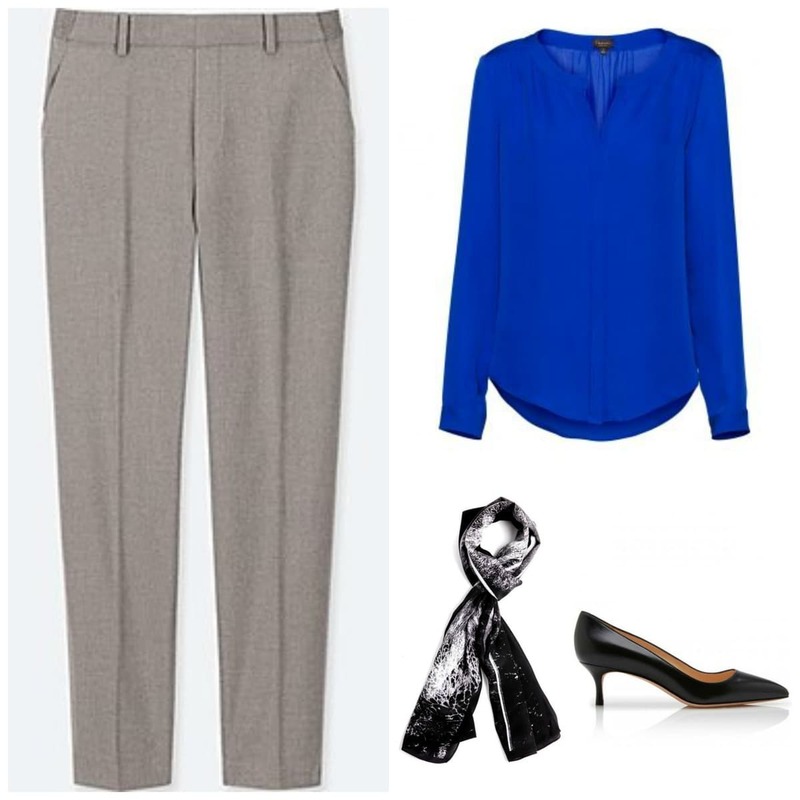 With 9 pieces of clothing and a few accessories, I created 20 looks for a Business Casual workplace. Click on any thumbnail graphic in the gallery below to see the full-size images and descriptions. Hover over the images to find arrows to advance and go back within the gallery. If there’s an ad in the way, x it out to read captions. Click the X at the top right of an enlarged image to close the gallery and return to this blog post. 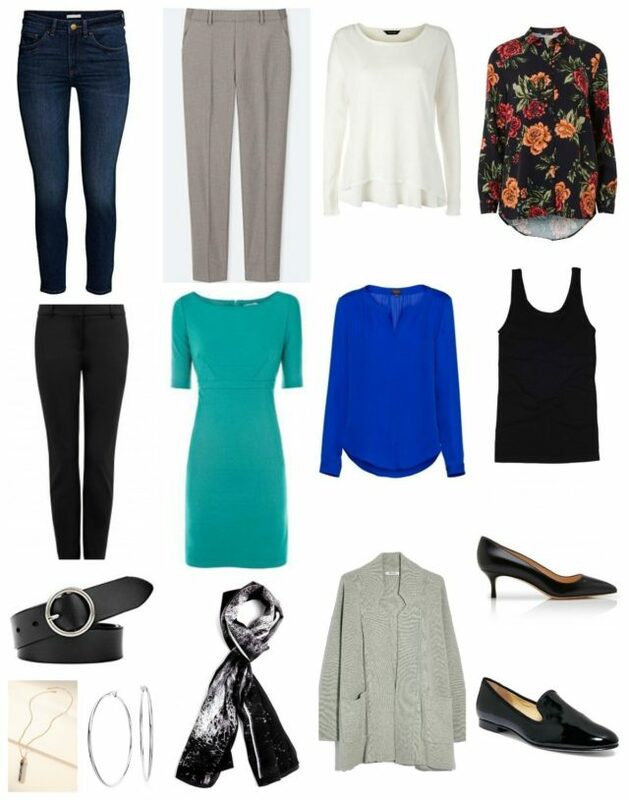 Write down your core wardrobe, take selfies in outfits or photos of each individual piece. Keep them in an album on your phone or put in a journal. 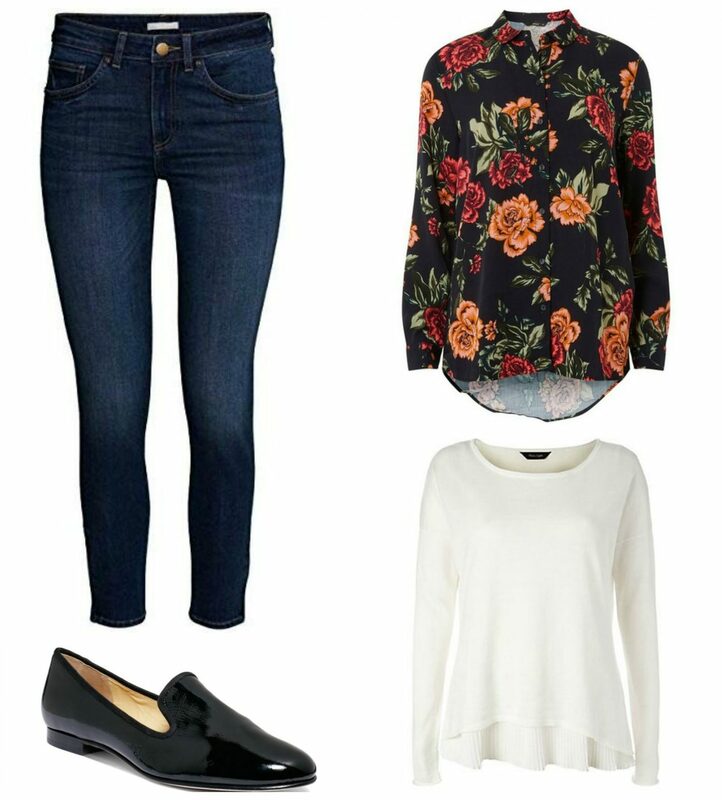 Constantly refer back to the pieces and think what you need to take this core wardrobe to the next level. While wearing your limited wardrobe, what are you lacking? If it’s a blazer, let’s break it down further. Does this blazer need to make a proper suit, or is it just a layering piece to add some professionalism? If it’s a suit, admit that and think if your current pants would properly coordinate with a new blazer to create a suit, or if you are actually purchasing a blazer and matching pants. If it’s a suit, what pant style would go best with the shoes you already own? 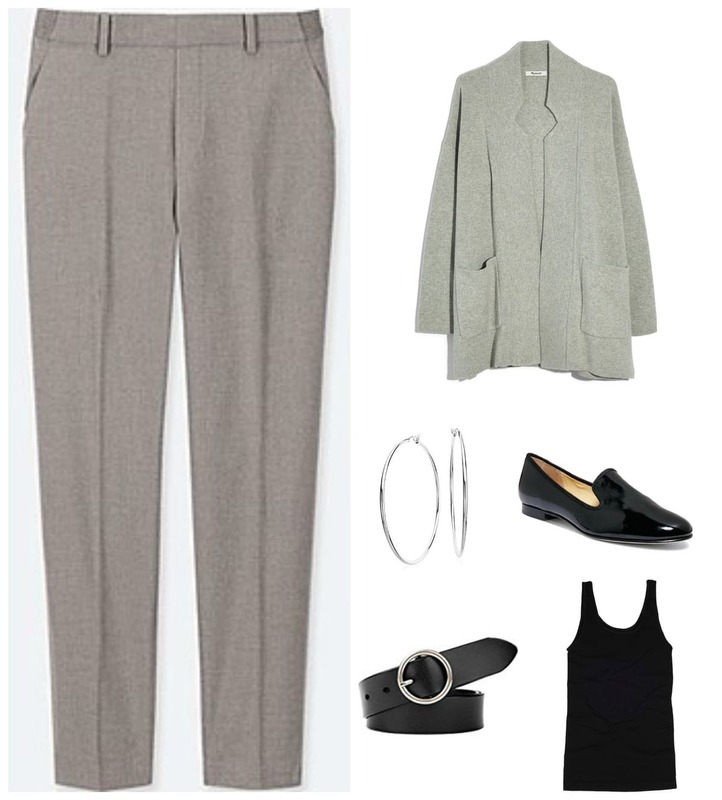 If it’s just a blazer, what color and fabric would coordinate best with the pants and skirts already in your closet. Remember what caused you to get to the point where your closet was full of things you didn’t like. Did you shop based on emotion? Did you shop for a life or a body that is not your own? Did you buy it because you couldn’t resist the pricetag? That donation pile is a pile of life lessons to use beyond your closet. Don’t make decisions when you’re too emotional to be rational. On the same line, don’t make decisions when you’re hungry or tired. Instead of wishing for what you don’t have, focus on what you do have that is good. A change of outlook can do wonders for your wardrobe as well as your entire life. If you can’t accept it at its worst (whether it’s a person, a job, or a full-price sweater) it’s not worth it, even for the times when it’s at its best (70% off). Keep that three-lives mentality. It looks great, it fits great, it makes sense for your life. But can you wear it three ways? Right now you’re not at a point where you’re buying statement pieces, you’re focusing on a core capsule wardrobe. Once you’re comfortable with the basics, that’s when you can start buying the unique statement pieces. A lot of times readers ask me when they can graduate from a capsule wardrobe, when they’ll be ready to shop without such focus. As someone who has written about fashion for over a decade and in her past life was an apparel visual merchandiser, personal shopper, and stylist I say never. More clothing does not equal more style. When you stay focused on having a small, cohesive, hardworking wardrobe you increase your style, your creativity, and your time. Your capsule may change as you get to better know yourself and hone your personal style but that is replacing, not adding. 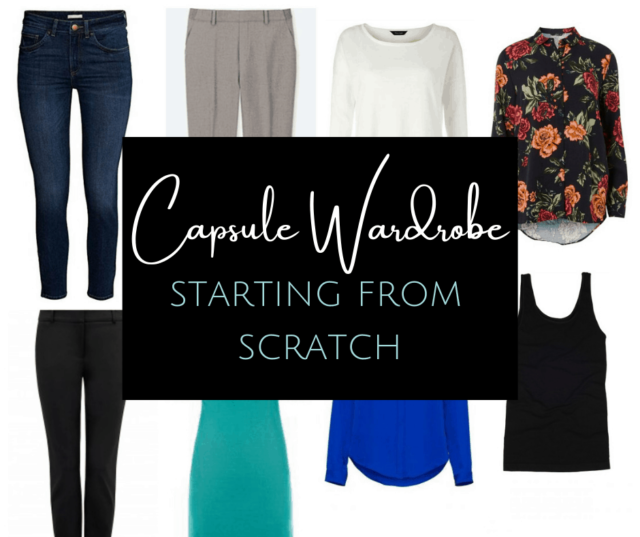 The capsule wardrobe may be a trendy thing, but it’s a fabulous lesson in learning to shop with purpose and to know and love yourself right here and right now. And no sweater, no matter how low of a price, is worth sacrificing all that goodness. I like the idea of the “three lives”, will consider it for my next edit. It’s a good way to narrow down a closet! 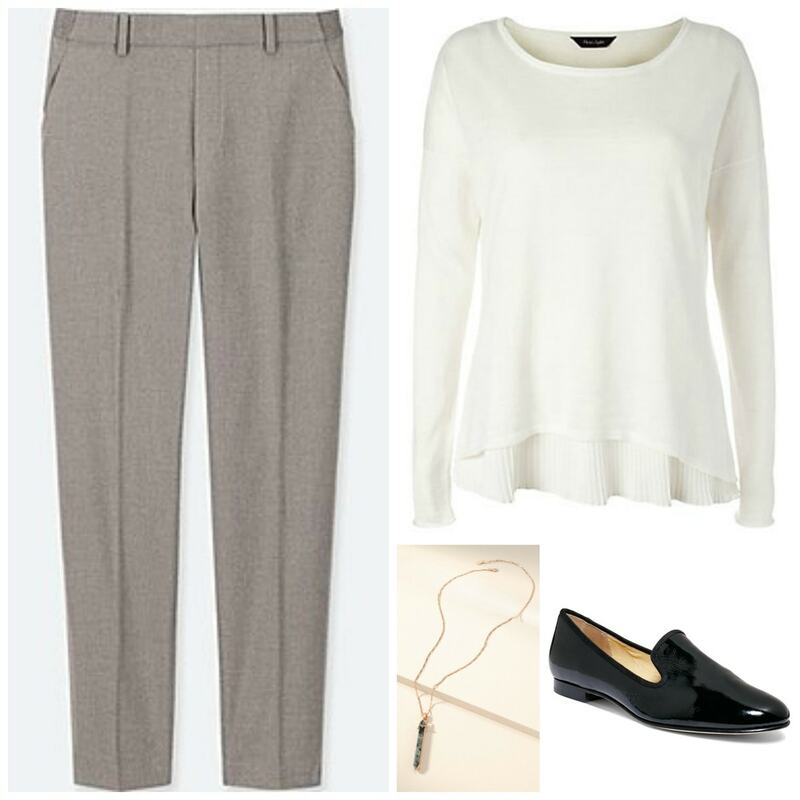 This is a GREAT minimalist capsule wardrobe. So incredibly useful. Thank you! Loved this post! So relatable and easy to implement. I was just reading a book on paring down one’s wardrobe, but you had to do these calculations on laundry and it was too much for me. This system is much simpler to begin. Where’s the dress from? 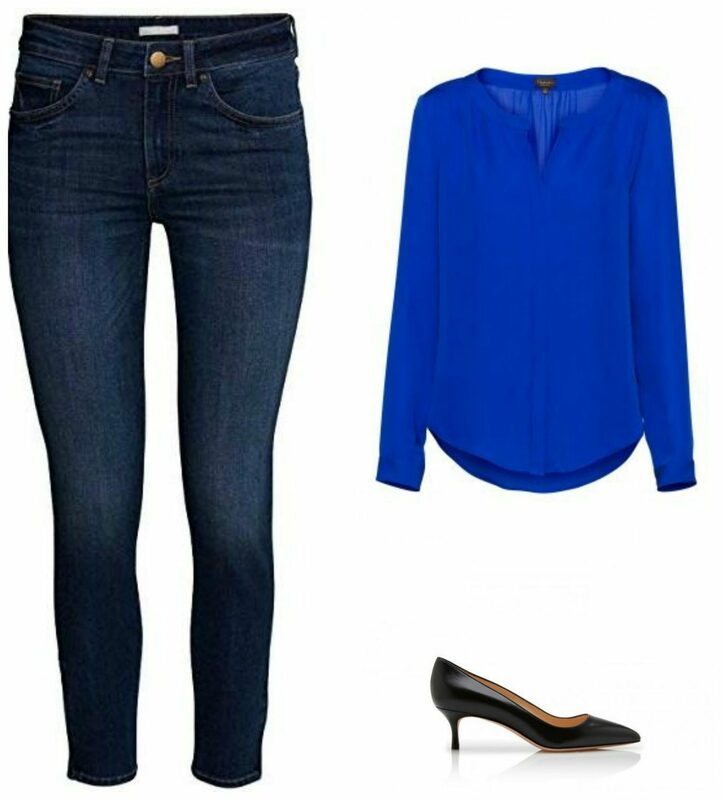 Love the boatneck style and longer sleeves. What a great post! It made me realize how often I buy things because of the low price – and end up not wearing them often or at all.That’s such a bad habit that I have. To break that habit I have unsubscribed from all the online sales alerts. If I don’t know what’s on sale or clearance, I won’t be nearly as tempted to buy. it may seem silly to trick myself like that but i think it will work. I don’t usually go hunting for sales. But when these colorful ads show up in my email, I can’t resist them. Thanks for your insights and your wisdom. I subscribed to so many of those kinds of emails thinking it would help me know about sales to share in blog posts. But I found they just had me shopping more. I started the New Year by unsubscribing to all of them except a small handful. I meant “closet purges” not closet purchases! This is, without question, the absolute best capsule wardrobe post that you have ever done — and probably that I have ever read. You are totally at the top of your game here. I especially, especially love the reminder to Learn from the Past. That’s been the most useful lesson of all my closet purchases. Certain brands, which looked fabulous on my friends, always were in the donate pile for me. Some truly dazzling consignment pieces… well, it turns out that the previous owner had let them go for a reason and I did, too. Still tons of room for improvement, but I’m a much better shopper now. And I’ll say it again, this is one of your best posts ever. I hope you feel great about it. Wow, thank you so much Jennifer! I really appreciate it!